It is estimated that, in 2015, the global consumer durables industry grew 1% in volume and shrank 7% in USD terms, while the global TV industry contracted 2% in volume and declined 13% in USD terms (based on eight months of data). Turkey has maintained its position as the largest manufacturing center for consumer durables in Europe. According to 2015 year-end data from the White Goods Manufacturers' Association of Turkey (TURKBESD), exports grew more than 7% year-on-year to 18.1 million units, while the domestic market grew 5.7% to 7.1 million units. 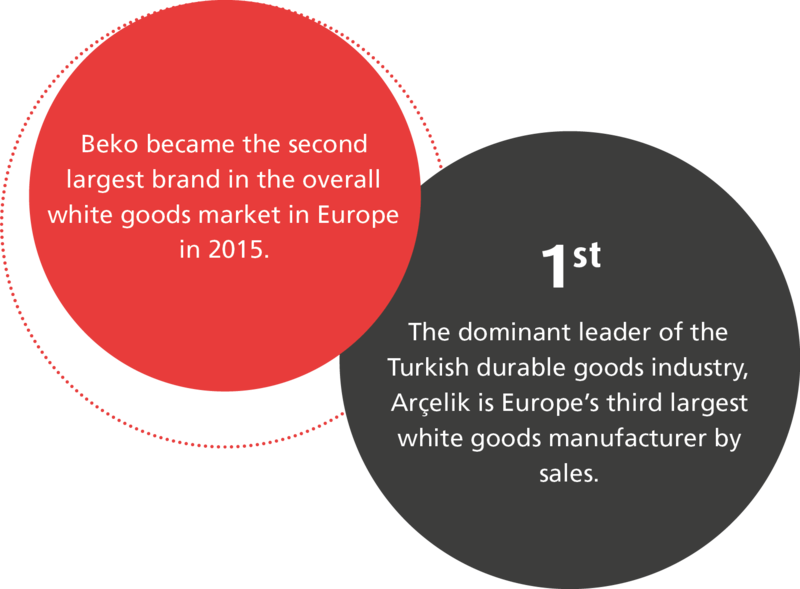 While maintaining its leadership in Turkey as well as being the third biggest consumer durables company in Europe in sales volume, Arçelik A.Ş. also continued to hold a significant lead in the Romanian and South African markets, with its Arctic and Defy brands, respectively. Beko, Arçelik A.Ş. 's global brand, was the fastest growing consumer durables brand in terms of market share in the highly competitive European market between 2000 and 2015. Taking the leadership position in the European freestanding white goods market, Beko has increased its market share in major markets, including among others, Germany, Italy, Spain, Russia and Poland. Beko retained its strong position in the Middle East and Europe. The Company has increased its export volume in Southeast Asia in line with its market diversification objective, reinforcing its presence with new companies in Malaysia and Vietnam, subsequent to its launching in Singapore and Thailand in 2014. With the inclusion of the consumer durables category into its portfolio in 2013, Grundig became the only European brand to offer products in all categories of home electronics. Maintaining its growth in Germany, Scandinavia, and the United Kingdom, Grundig has introduced its white goods portfolio to consumers in Spain, Italy, Belgium, Croatia, France, Austria, Malta, South Korea, and South Africa.